CHILDREN OF FREDERICK LOCKER ESQ. 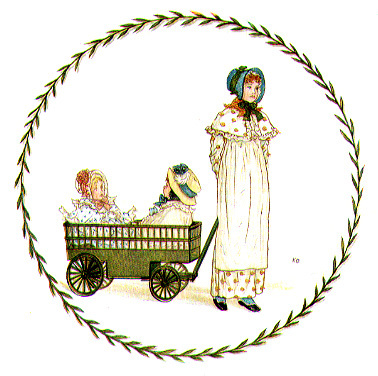 Little Ann and Other Poems contains poems by Ann Taylor (1782-1866), Jane Taylor (1783-1824), Isaac Taylor (1759-1829), and Adelaide O'Keeffe (1776-1855). 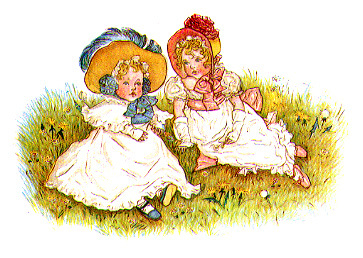 It was illustrated by Kate Greenaway (1846-1901) and published in 1883. Both text and illustrations are in the public domain. The copytext for this on-line edition is a first edition, property of the Carnegie Public Library of Pittsburgh, Pennsylvania. Because of the delicacy of the original, it was not possible to use it for scanning. Some of the illustrations have been scanned in from reproductions. Scanned illustrations may differ somewhat in size and apparent coloration from the originals. 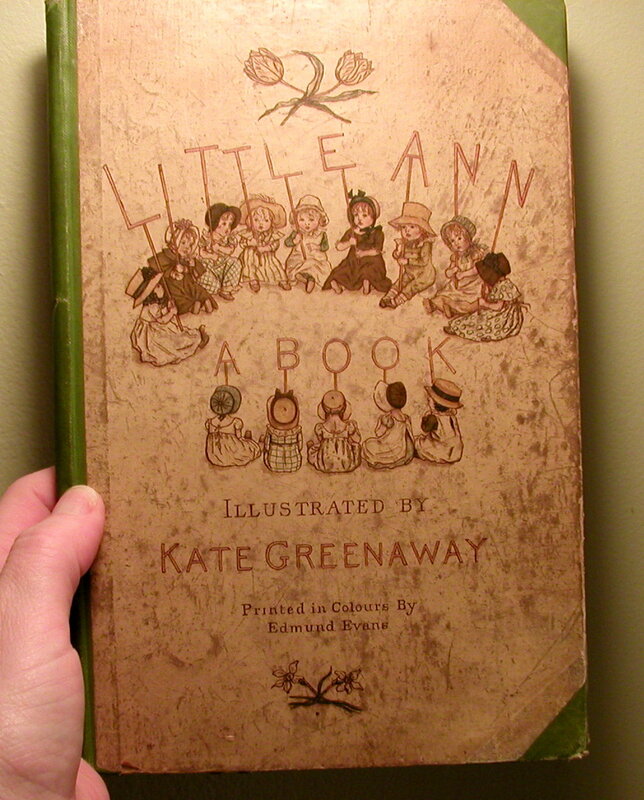 The text of Little Ann and Other Poems does not indicate the authorship of individual poems in the collection. However, earlier publications sometimes indicated who wrote each poem. I have annotated the table of contents, using colored dots, to show this information. Most of the poems originally appeared in Original Poems for Infant Minds (1805) by Ann and Jane Taylor and Adelaide O'Keeffe, where authors were identified for each poem, with the textual notations given below. Other poems originally appeared in Rhymes for the Nursery (1806) where they were not identified by author. Attributions for the poems are based on the exceptional Taylor resource: The Taylors of Ongar: An Analytical Bio-Bibliography by Christina Duff Stewart, Garland Publishing, Inc., New York & London, 1975. Stewart identifies authorship of Rhymes for the Nursery , based on a copy belonging to Canon Isaac Taylor, which was annotated to indicate the respective authorship of Ann and Jane. (Canon Isaac was the nephew of Jane and Ann; a son of their brother, Isaac Taylor of Stanford Rivers.) Stewart also confirms attributions of Original Poems based on publisher's records. "T." : attributed to Rev. Isaac Taylor (1759-1829), Ann and Jane's father. "Adelaide" : Adelaide O'Keeffe (1776-1855), another young poet writing for the same publishers.